Stay on top of spending across the company. Stay up to date on transactions, card balances, and deposits with daily summaries. See where employees are spending, and who’s approving funding requests. Account administrators can choose to receive these summaries by email or text. Get the details of transactions as they happen. Transaction time, location, and amount for each card swipe are captured within moments. 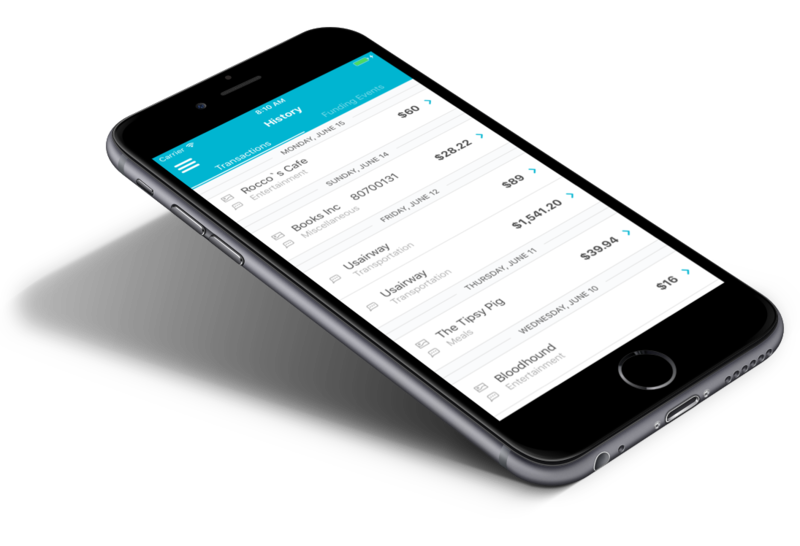 Customize expense categories for your business. 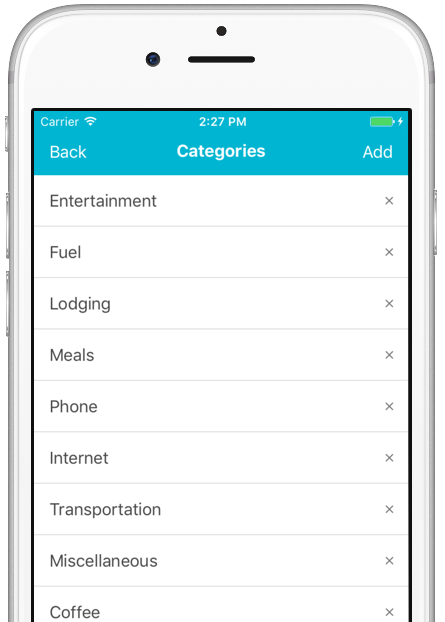 Your BizNOW account comes preconfigured with a rich set of expense categories for employees to choose from when logging transactions. Every business has a unique set of needs, so BizNOW provides category customization. Add categories for projects, unique department needs, and more. 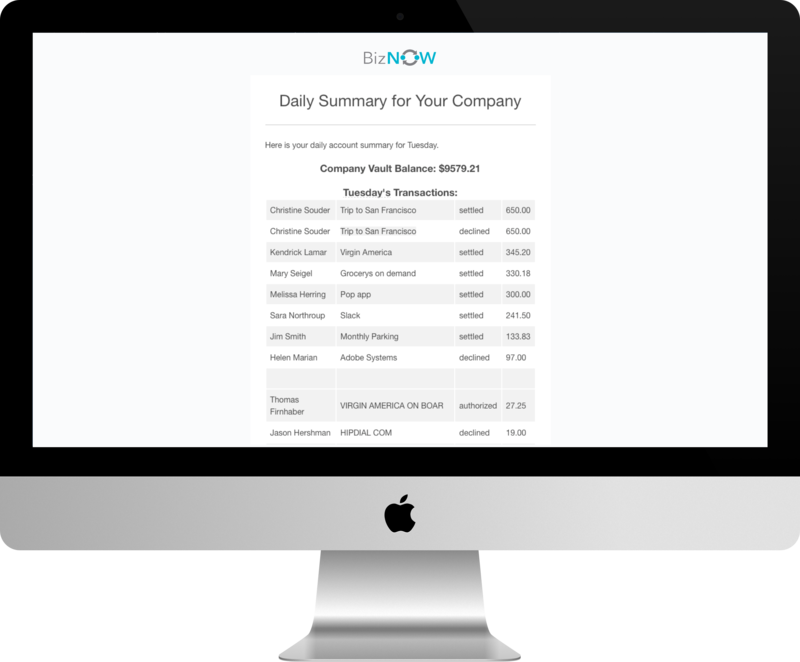 However you manage your accounting records, BizNOW has you covered with exports in multiple formats. Export your transaction history in CSV, QuickBooks CSV, Excel, and even an archive of receipt photos uploaded by your teams. 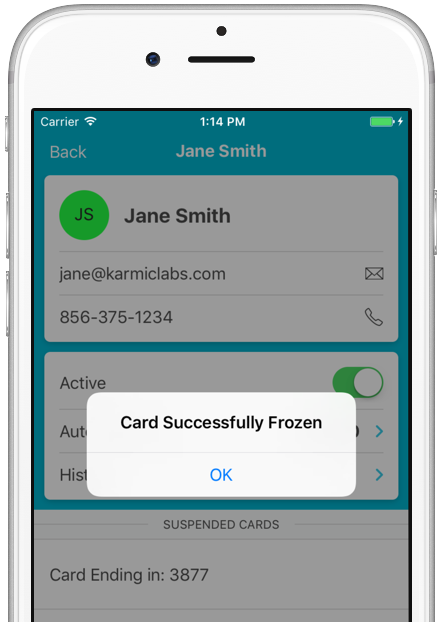 Freeze cards and suspend users easily. Just as BizNOW makes adding members to your team easy, it also provides controls to manage those cards. Can’t find your card? Simply freeze it until it’s found, then unfreeze it with the push of a button. Have seasonal employees or contractors? Disable that team member’s account and reactivate it when they return. There's no need to send out new cards.